For housing the supply technique when no plant-room can be provided by the customer. Entrance to lockable access door on front side of container. 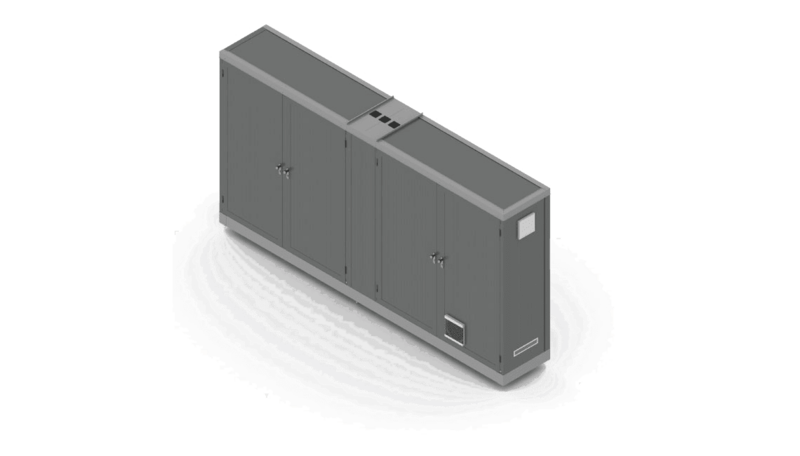 The container walls consist of sandwich elements in white aluminium RAL 9006. Entrance via four lockable cabinet doors on side of container (container can not be entered). 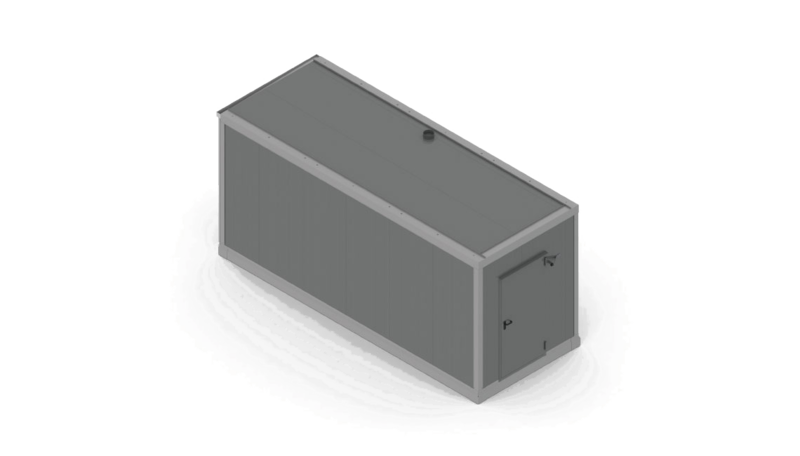 The container walls consist of sandwich elements in white aluminium RAL 9006. 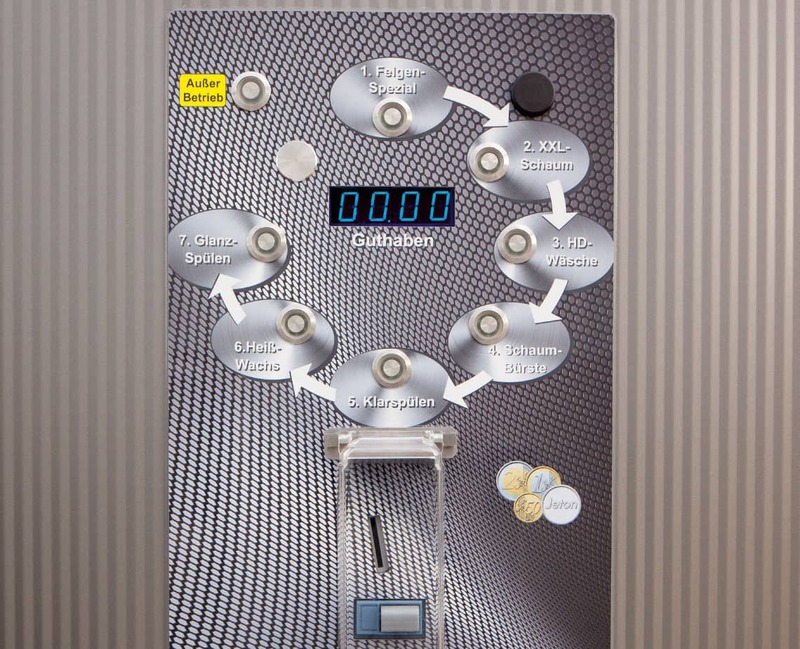 Blue illuminated program selection buttons allocated in clockwise sequence and a LED-display for displaying the money amount and remaining money amount are user-friendly. The electronic coin examiner accepts coins and tokens. 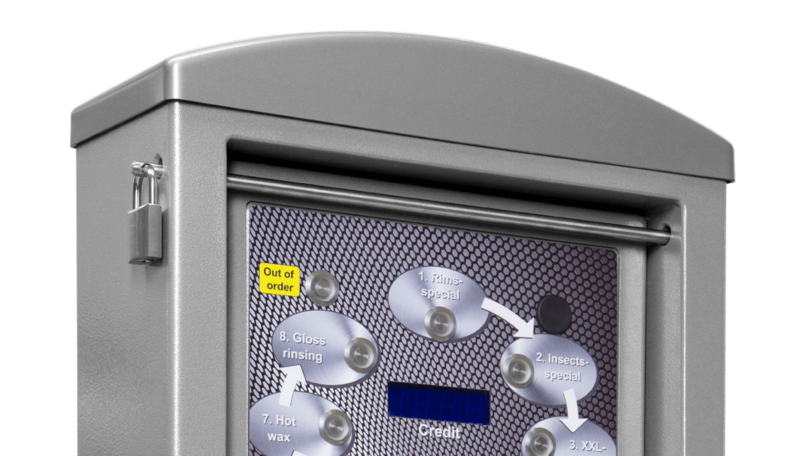 An alarm device can be integrated in the casing which is always protected from frost and splash water. Installation solution for wash bays adjacent to the technique container. 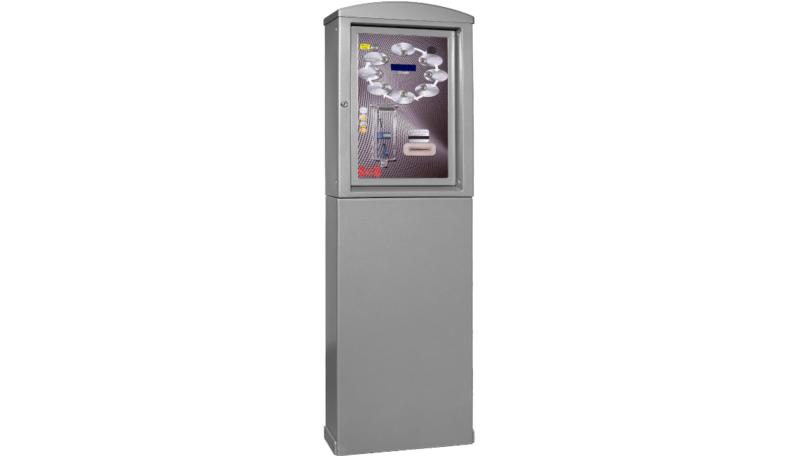 Modern, free-standing operator panel in clear design with side cover plate for easy maintenance and access to the coin examiner. Can also be obtained as wall installed version upon request. Front and side metal sheets made from stainless steel are mounted for additional protection against vandalism. 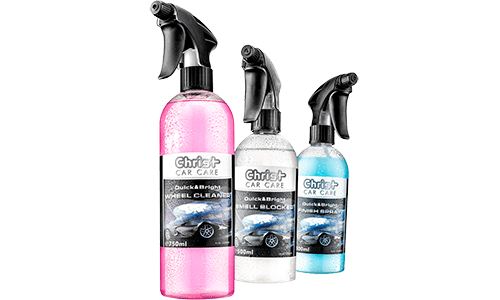 Ergonomic and sturdy high-pressure spray lance used for the wash programs high-pressure precleaning, clear rinse, hot wax conservation and gloss rinse. Holster frame made from stainless steel. Lance with attached soft foam brush used for the wash program foam brush basic cleaning. Holster frame made from stainless steel. This special holster is used in connection with a double deck rotary head (e.g. 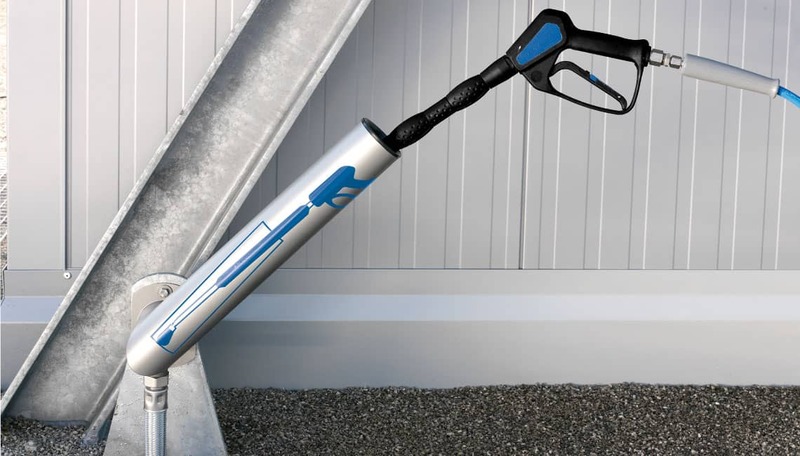 in open-air wash bay) and can receive the high-pressure lance as well as the foam brush. The holster frame is made from stainless steel. 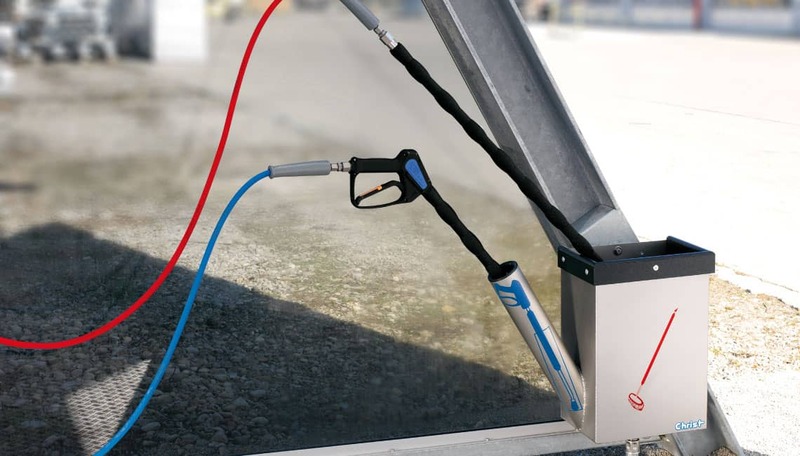 Ergonomic and easy foam spray lance especially for application of XXL-foam (for excellent foam and lowered chemical consumption). The holster is made from stainless steel. Can be combined with the high-pressure lance, XXL-foam spray lance and foam brush. Designed in stainless steel with a swiveling range of 360° for tangle-free swiveling. For receiving the high-pressure lance and foam brush (e.g. 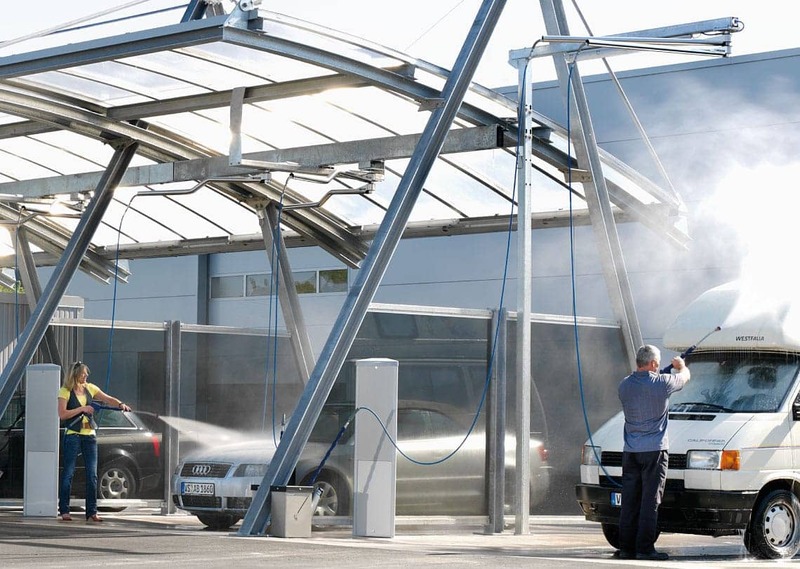 in open-air wash bay). Made from stainless steel with a swivelling range of 360°. Bracket made from steel, galvanized, passage height 4.000 mm. The attachment kit is prepared for mounting the double deck rotary head. The wash programs: hot wax and gloss rinse are serially operated using low-pressure (3 bar) and reduced water quantities (savings potential of up to 80% in comparison to high-pressure operation) for saving water, electricity and wash chemicals. Hot-wax and permeate can be applied more precisely and without mist hindering the customer’s vision. The operator can share his cost savings with customers by increasing program running time and in doing so increase customer loyalty. The customer gets more for his money. 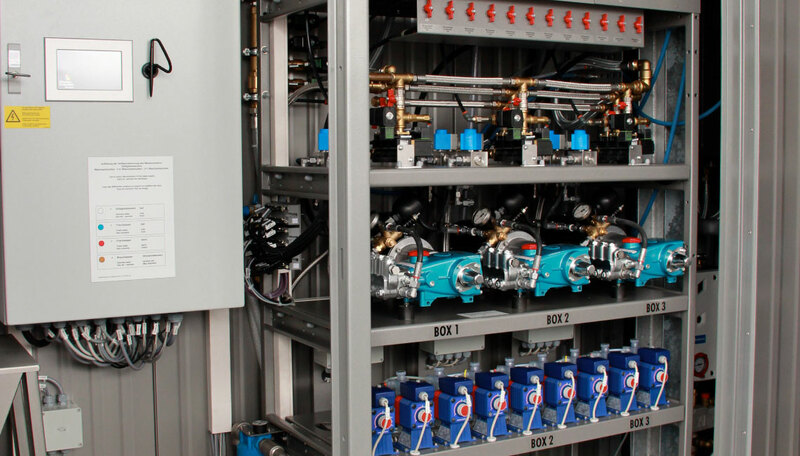 The maintenance-friendly high-pressure pump cabinet is mounted with high quality piston pumps. 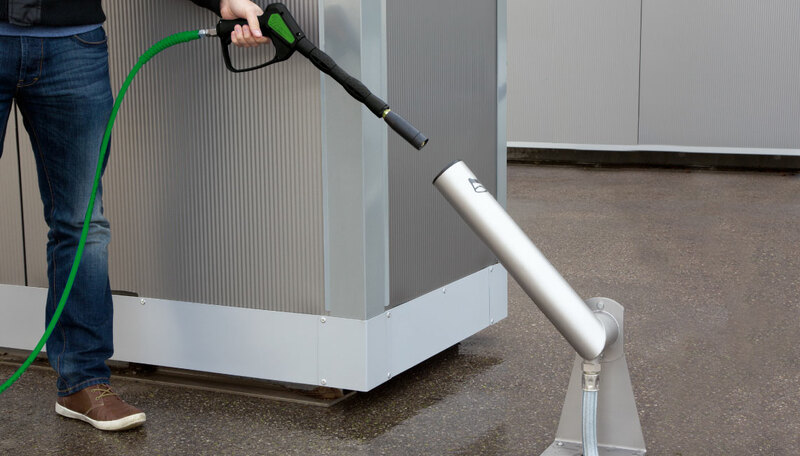 The powerful pump produces a working pressure of approx. 85 bar at 10 ltr./min. with its 950 rpm. 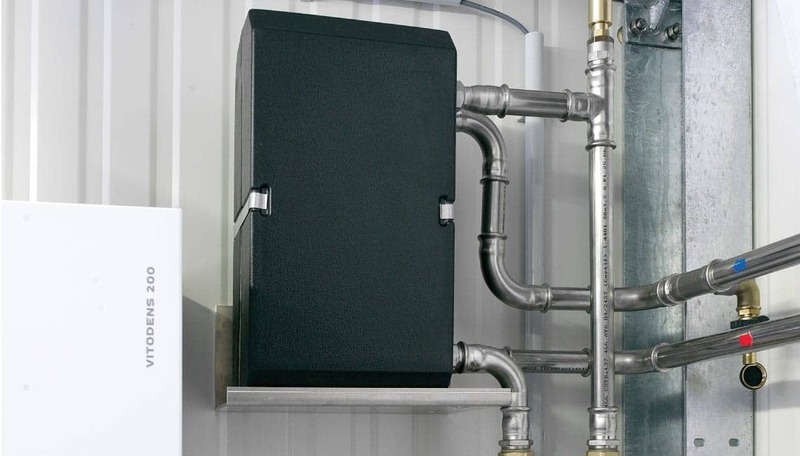 The high-pressure pump cabinet can also be mounted in a customer provided technique container. 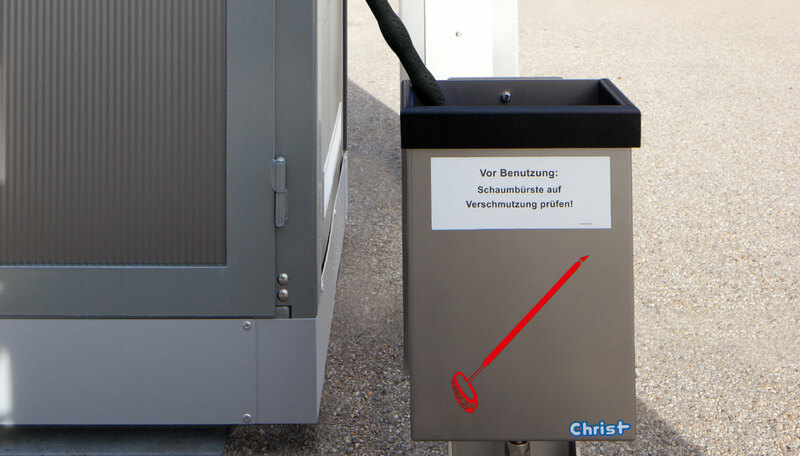 A compact device is separately mounted on a console for each wash bay. 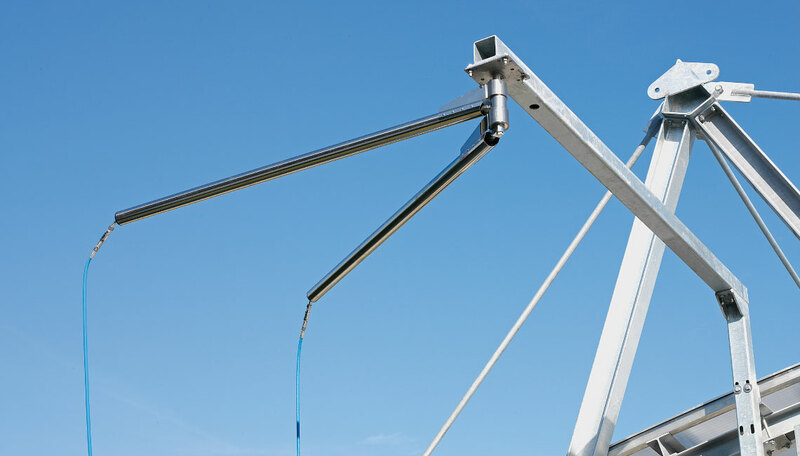 The required armatures and dosing pumps are situated on the same installation level. High-quality components and pipe made from stainless steel guarantee long life duration and best possible functionality. collectors on his wash bay roofing, a corresponding connection can be installed in the heating unit in order to supply the heat won through solar irradiation to the heating unit. Heat transfer from the heating unit’s heating circuit distributor to the separate high-pressure supply water feed. 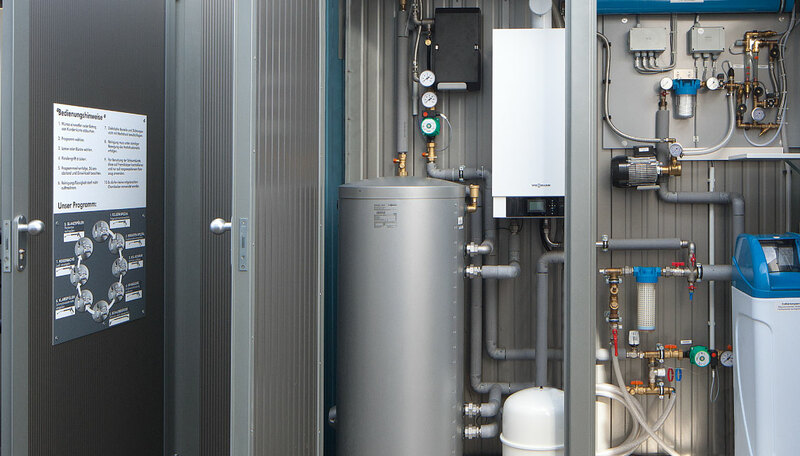 Integrated floor heating can be additionally installed in the wash bay foundation (wash plate) by providing the necessary connection. Floor heating prevents ice from forming on the wash plates. operator surface can also be accessed via internet remote access. This enables adjustments or profit inquiries to be made without having to be physically present on site. 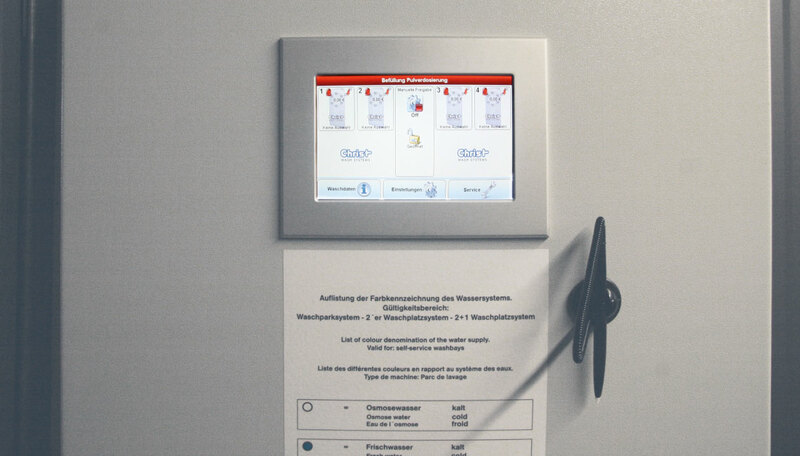 A guarantee for safe control and unit monitoring.The freely programmable memory control (PLC) enables future retrofittings to be easily implemented. 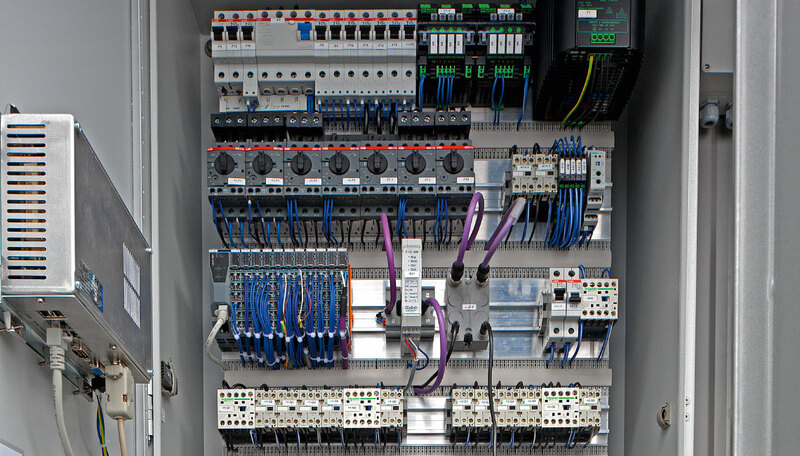 The PLC, the completely wired 400V power stack, the motor protection switch and the frequency converter are installed in the protected, painted sheet steel switchgear cabinet. 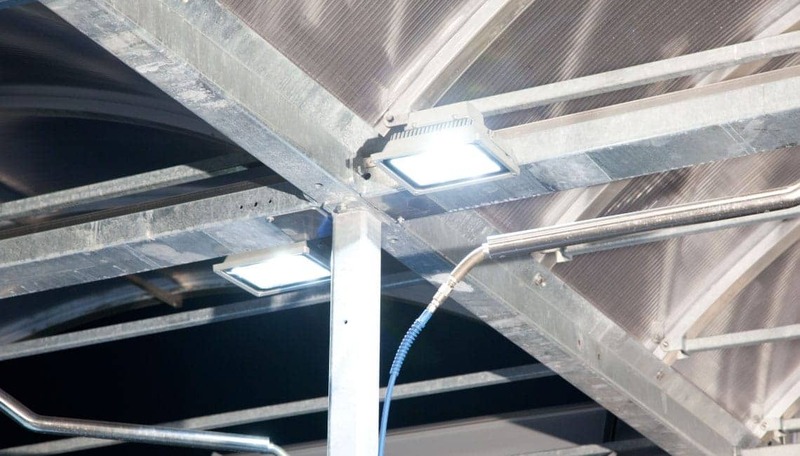 Energy-saving LED flat spotlights provide optimum lighting in the wash bay. 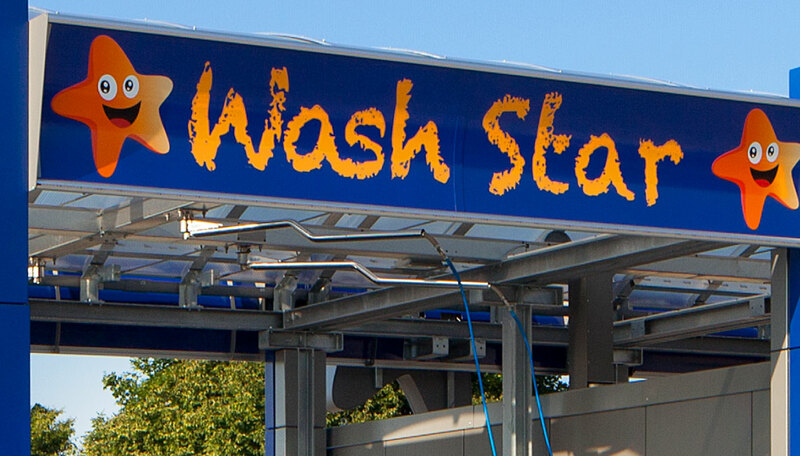 Accepts bills and coins, dispenses coins or tokens for cash-free washing in wash parks. Warm water dispensing at charge. 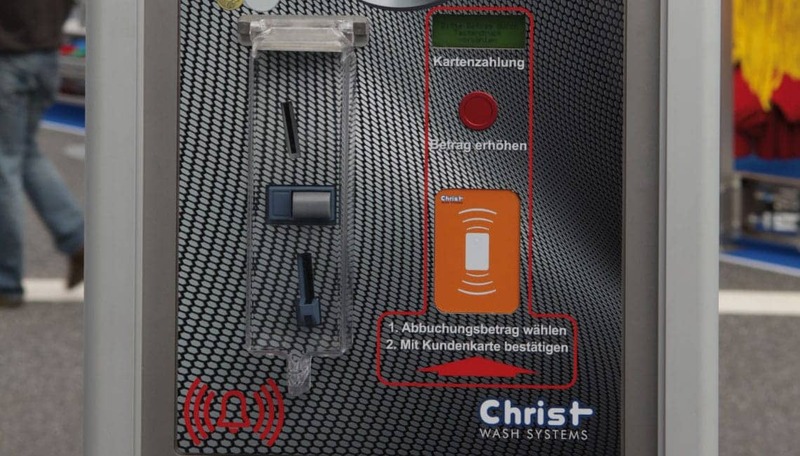 For wash customers who prefer washing with their own sponge. 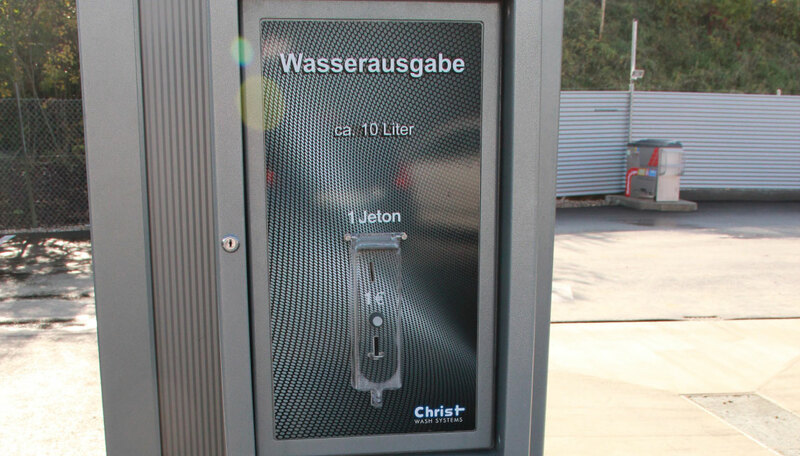 The valuable pay machine with stainless steel front plate and built-in 8,4” bullet-proof glass touch screen (15” also available) is designed for most comfortable handling. - The higher the card is charged, the higher the debit bonus can be set (e.g. charged with 50 Euro = 10% bonus credit; therefore, the card has a sum of 55 Euro). 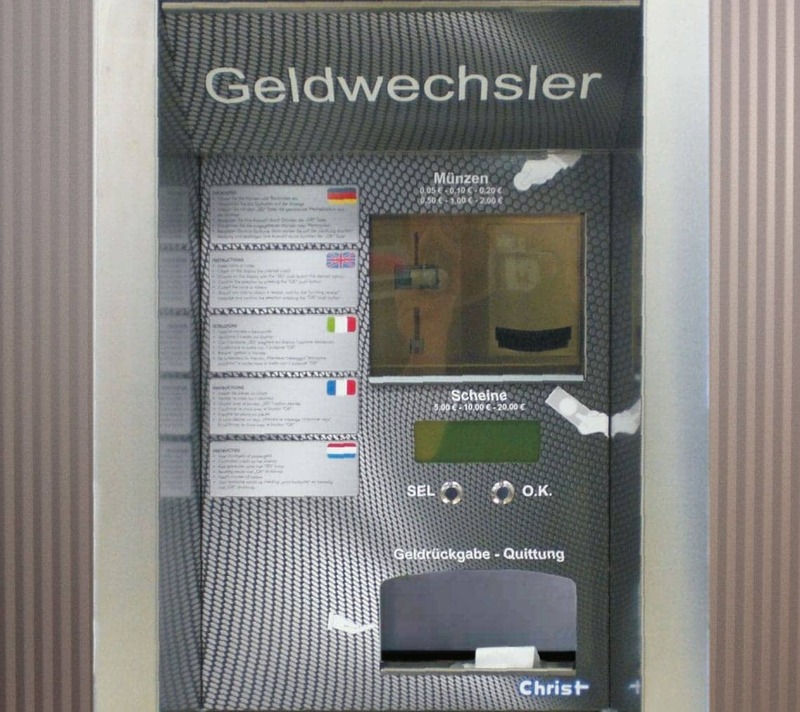 In the operation device UBT WPS, a card reader with a pre-selection button for debiting a certain money amount and an indication display (shows card credit amount or pre-selected debit amount.